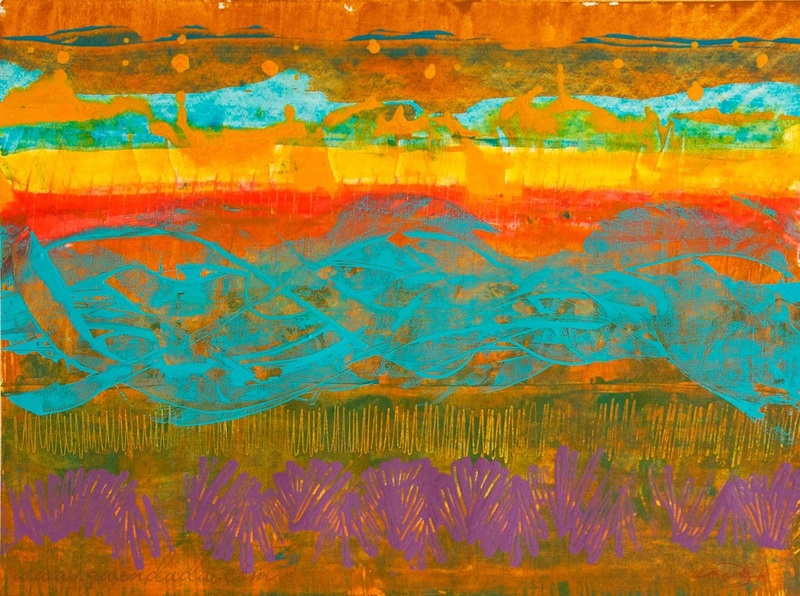 A very dynamic and hot vibrant acrylic abstract painting on 140l lb hot pressed watercolour paper measuring 12" (30.48 cm ) x 16" (40.64 cm) in colours of teal, gold ochre, vermillion red, orange, lavender purple and warm green. It was started in watercolour sticks then moved to acrylic for overall application of colour. This entire painting was done using a fine point awl to do sgraffito and texture and a hotel key card (that I had mistakenly packed after a trip). If you need the colours of the desert to keep you warm this winter, look no further!